I’m hoping for help with an ID. 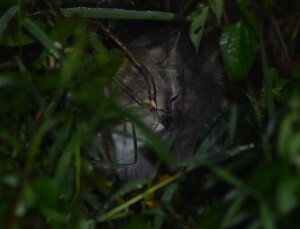 around 19:00 and then hunker down in thick vegetation. It was mostly grey, possibly with some striping and impressions were larger than a domestic cat. Its face didn’t look right for domestic cat. Please see the only photos I could get. 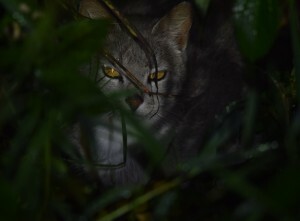 The lodge manager insisted on Jaguarundi, but I don’t think so. 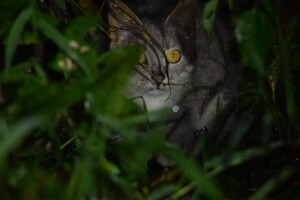 Could this be a Pampas Cat, something else or just a very strange domestic cat? Scientists document baby giant armadillos for the first time. Pampas Cat seems plausible. 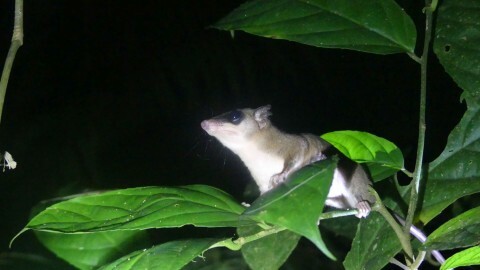 The facial markings, grey coat and banding on the legs support that ID. Shame we can’t see the tail. Could be a domestic cat of course,(especially if human habitation is nearby). But definitely not a Jaguarundi. I agree with Steve although lean a bit more toward domestic cat. 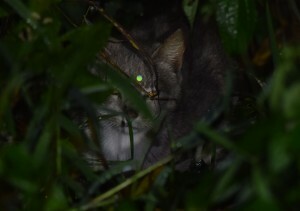 I have just come back from spotlighting in San Isidro and saw this cat, in the clear and it’s a domestic cat. 100% there were 2 or 3 hanging around. Thanks very much guys! 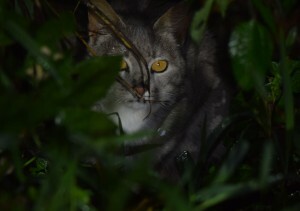 Alright then, a domestic cat, that was my initial thought, but then the exotic location started people wondering. Thank again. Hi there. 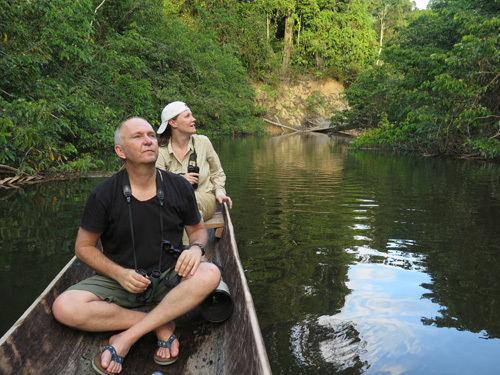 I just asked my buddy Mitch Lysinger who is perhaps the person who knows the most about wildlife at San Isidro. He says it is a domestic cat, and that they see them there from time to time.